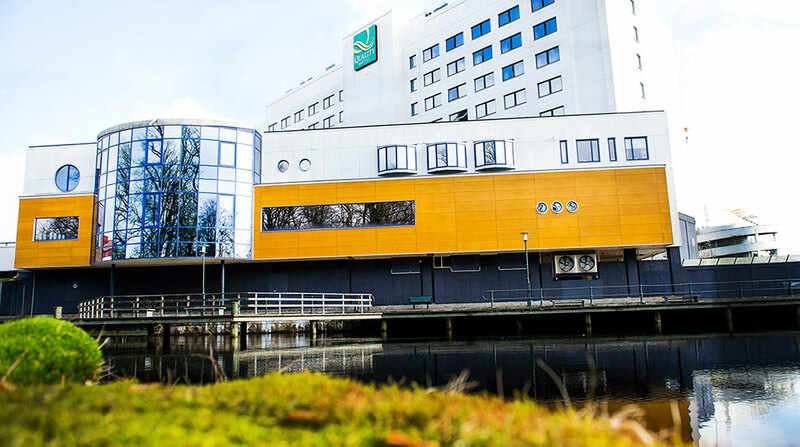 Here at the Quality Hotel™ Grand, Borås, our priority is to provide you with an enjoyable experience in a great atmosphere. Our restaurants offer food and beverages for all occasions. Drop in for Saturday brunch, or why not organise a lovely three-course dinner with friends? Our Grandór dining room seats 220 guests and is located on the 2nd floor. Here we set up our breakfast buffet, as well as lunches and conference dinners later in the day in the dining room. Part of Grandór can be screened off for more private dinners. The entire Grandór restaurant can also be reserved for larger groups, with access to both dance floor and bar. BARA welcomed its first guests in 1997. The idea was to create a place for relaxation, good food, exciting drinks and a place to meet – a lounge just like home, except here with us at Quality Hotel™ Grand, Borås. Bring someone or just bring your laptop. Get online quickly, easily and in comfort! Pop in and order a classic dish at the bar, or something from our well-designed master chef's menu. Our Hunting Club dining room is furnished like an English library. It is ideal for private parties and dinners. It can accommodate 60 seated guests at round tables. Our large round tables can also be ordered, which can accommodate 22 guests. Hunting Club is also used as a conference room and is equipped with projection screen and built in speaker system. More information about our conference opportunities here. The Quality Hotel Grand has worked together with the Snowman Agency to develop a new nightclub experience in Borås and we are now ready to welome you to the IVY Nightclub! As Borås continues to develop and become increasingly popular, we felt that there should be an exciting nightclub to entertain locals and visitors! Music lovers will love a night at IVY! Look forward to the best DJs in the country and other exciting events! Open every Saturday from 10pm - 2.30am with a minimum age of 21 and 120 SEK entrance fee. We host special nights on some Thursdays and Fridays, so make sure to follow our Facebook page for the current information about age limits, concepts and entrance fees.